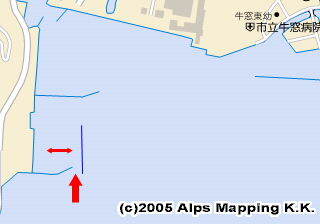 You should approach Ushimado Yacht Harbor through its south entrance. The north entrance is wide open though, it is shallow. The clean harbor is well equipped and maintained. 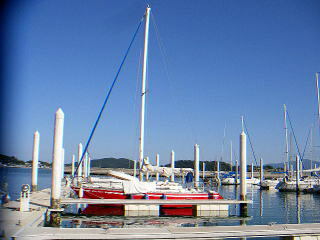 Fuel birth, Hoisting crane and Factory services are available in the harbor. Clean Toilets and bath rooms are at the harbor office 1F. Another 24hr open toilet at the side of the warehouse for sailing dinghies. Another 24hr open shower rooms in the training room building. Your 10 minutes walk for shopping provisions; and 30 minutes walk for restaurants at Ushimado downtown.